The diverse Seminole Wekiva Trail begins at the San Sebastian Trailhead in Altamonte Springs and Continues approximately 14 miles, ending at the Wekiva River. Location: The Seminole Wekiva Trail begins at the San Sebastian Trailhead in Altamonte Springs and continues approximately 14 miles, ending at the Wekiva River. To reach the San Sebastian Prado trailhead, take I-4 to Exit 92 and drive west about 1.5 miles on Route 436/Semoran Boulevard. The well-marked trailhead is on the north side of the boulevard. To reach the Markham Road trailhead, take I-4 to Exit 101 and head west on Route 46A. Turn right on Orange Boulevard then left on Markham. The marked trailhead is on the left. Many access points along the trail. The diverse Seminole Wekiva Trail begins at the San Sebastian Trailhead in Altamonte Springs and continues 14 miles ending at the Wekiva River. It was built over the former Orange Belt Railway, at one time the longest railroad in the country. From Altamonte Springs the trail begins across a pleasant wooden bridge at the San Sebastian Prado trailhead. The first 7 miles traverse quiet residential neighborhoods and lush woods. Draped with Spanish moss, the tree canopy provides welcome shade. Two miles in you'll reach the ball fields and open park space of the Seminole County Softball Complex. Stop by for a variety of recreational activities at multiple park facilities or for lunch or coffee before entering the new tunnel crossing State Road 434. Continue through Jones Trailhead, beautifully canopied neighborhood areas, pastures and open space before visiting Heathrow for dining or shopping. Continue through Heathrow's high-tech corridor to colonial Town Plaza for entertainment, dining, and nightlife! Just past Mile Marker 9, a spur trail on the right leads east to a pedestrian bridge over I-4 before joining the Cross-Seminole Trail. The final 4 miles of the Seminole-Wekiva mirror the peaceful wooded areas that began the trail. 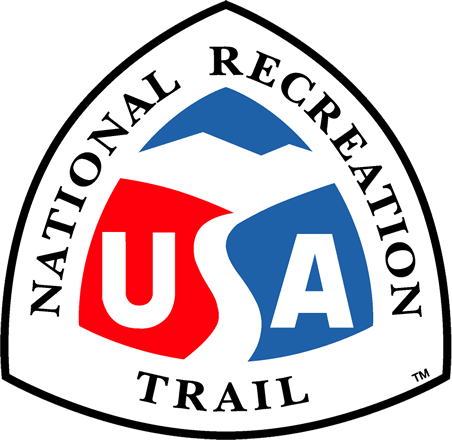 At trail's end, the Markham Road trailhead offers ample parking and restroom facilities. Trail view through the handlebars. Photo by Doug Alderson. Seminole Wekiva Trail Tunnel. Photo by Doug Alderson. Mural along trail. Photo by Doug Alderson. Trail murals. Photo by Doug Alderson. Bike rack along trail. Photo by Doug Alderson.